Rediff.com » Movies » How are Salman's discoveries doing? It's T-O-U-G-H to make it in Bollywood. Unless, of course, you've caught Salman Khan's eye. The superstar has launched several actors and offers a helping hand whenever anyone needs it. Having experienced many personal struggles, Dildar Khan never misses an opportunity of supporting and nurturing talents under his umbrella. 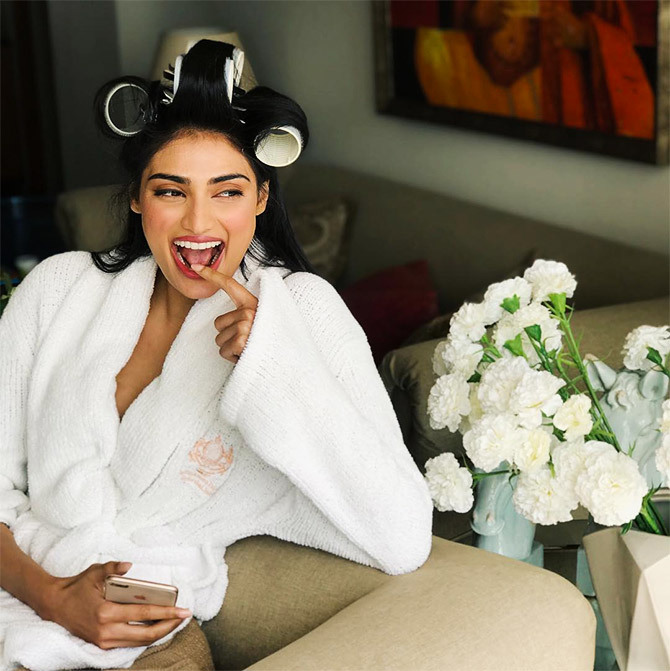 Salman has just launched Pranutan Bahl and Zaheer Iqbal in his latest production Notebook.Urvi Parikh looks at other talents who have bloomed under his care. Best remembered as Salman's ex-flame Aishwarya Rai Bachchan's lookalike, Sneha was launched in Lucky: No Time for Love in 2005. While the film performed fairly well at the box office, Sneha couldn't make a mark. We haven't seen her in a film lately, but Sneha is active on Instagram. She also tours and attends filmi events from time to time. Not once, but Salman Khan managed it twice! He found Zareen Khan, a lookalike of his other ex-flame Katrina Kaif, and launched her in his 2010 movie Veer. The actress followed it up with an item number in Ready, and a role in Sajid Khan's Housefull 2. 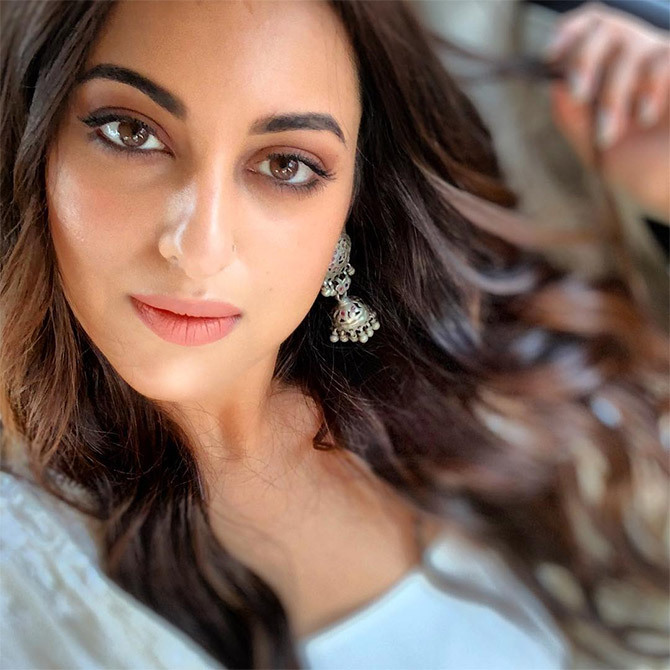 The actress, who was last seen in the horror movie 1921, is currently filming the Punjabi film Daaka, opposite Gippy Grewal. Though Katrina made her debut with the forgettable Boom, her career received a boost after she starred opposite Salman Khan in Maine Pyaar Kyun Kiya in 2005. Kaif believes MPKK was her 'first step' in Bollywood and she rightly acknowledges Salman for this. Salman has always helped her out. After her romance with Ranbir Kapoor went downhill, he reunited with her on screen. Now, the hot jodi will star in Bharat and Tiger 3. Aditya Pancholi's son stepped into the movies with Salman's production, Hero. The film flopped and controversy made sure Sooraj hasn't had another release yet. The actor is now working in Stanley D'Costa's Time to Dance and Irfan Kamal's Satellite Shankar. Suniel Shetty's daughter co-starred in Hero. She followed that up with the multi-starrer Mubarakan, which didn't do well either. Athiya will make an odd couple with Nawazuddin Siddiqui in Motichoor Chaknachoor. This assistant choreographer-turned-actress got her chance of fame when she starred in Salman's 2014 Jai Ho. Though the film didn't fare well at the box office -- at least as per SK standards -- Daisy did get noticed. Salman advised her to take up Hate Story 3, and change her image. Daisy was also cast in Salman's last film Race 3. Shatrughan Sinha's daughter made her Bollywood debut in Salman's blockbuster Dabangg in 2010. She has become an A-lister since then, and stars in Kalank, which releases this month. Sona has been signed up for the third installment of Dabangg as well. It has been 10 years since this former Miss Sri Lanka made her debut in Bollywood with Aladin. The film didn't do well, and she followed it up with Murder 2, Housefull 2 and Race 2. She tasted real success with Kick, opposite Salman. Jacqueline will be seen next in the much delayed Drive opposite Sushant Singh Rajput, produced by Karan Johar's Dharma Productions. Salman's brother-in-law -- Aayush is married to Sallu's younger sister Arpita -- was launched in Salman Khan Films' Loveratri last year. The film didn't do well, but its music was a hit. 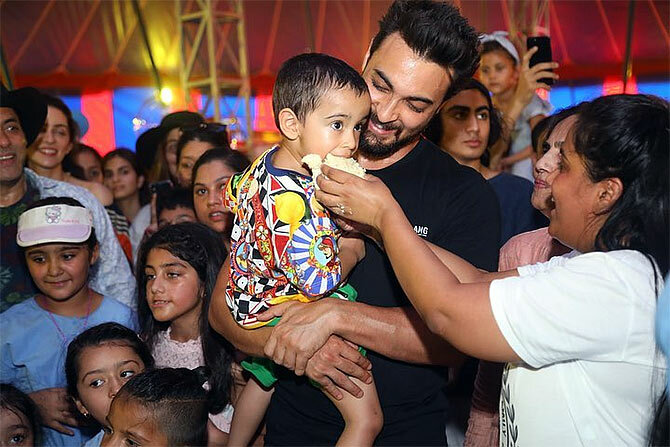 Aayush, who recently celebrated son Ahil's third birthday, hasn't announced his next film yet. 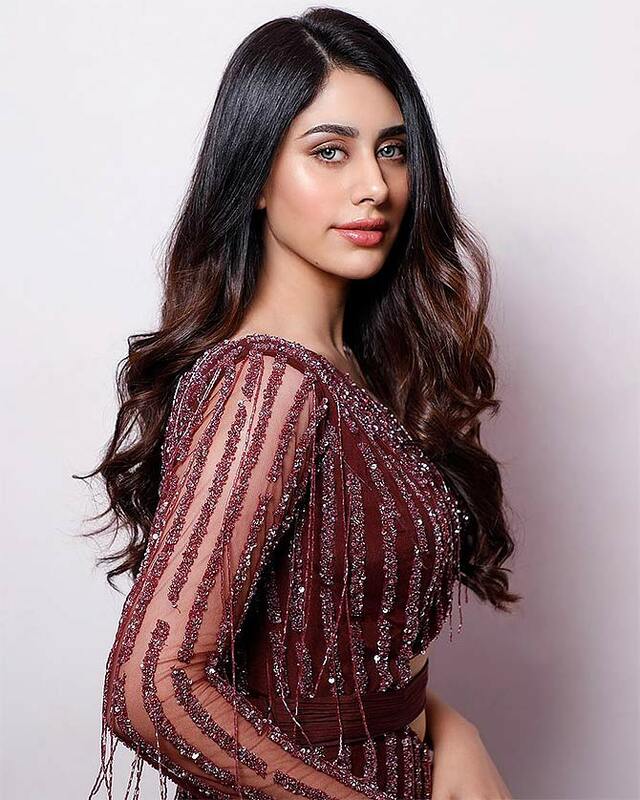 Aayush's Loveratri co-star Warina Hussain swears by Salman. She has kept herself busy endorsing products and being a stunning showstopper at fashion shows. Salman's rumoured girlfriend featured in O Teri. Though it wasn't received well, she will next be seen in Radha Kyun Gori, Main Kyon Kaala this May. After boosting elder sister Katrina's career, Salman has been mentoring Isabelle Kaif. She is all set to mark her debut opposite Sooraj Pancholi in Time to Dance. Pulkit Samrat received a lot of support from Salman when he was married to the latter's rakhi sister Shweta Rohira. After his debut in 2012's Bittoo Boss, Pulkit was cast in Jai Ho, O Teri and Dolly Ki Doli. 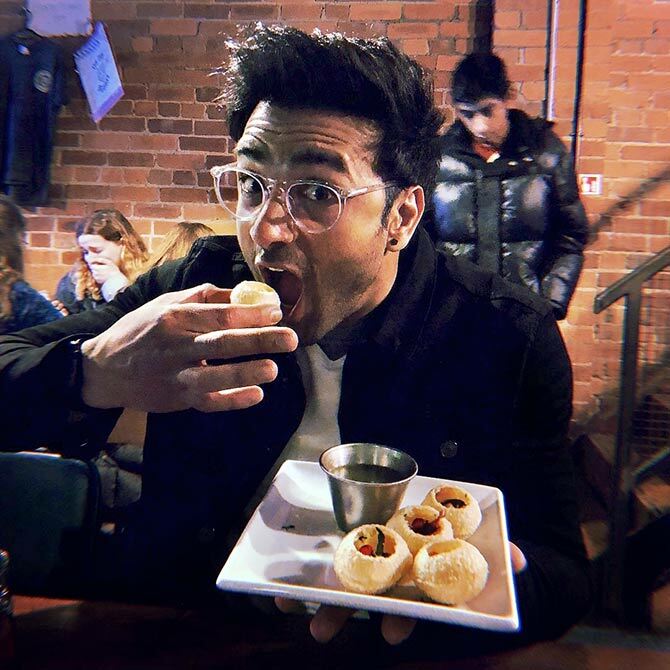 His last notable role was in Fukrey Returns. 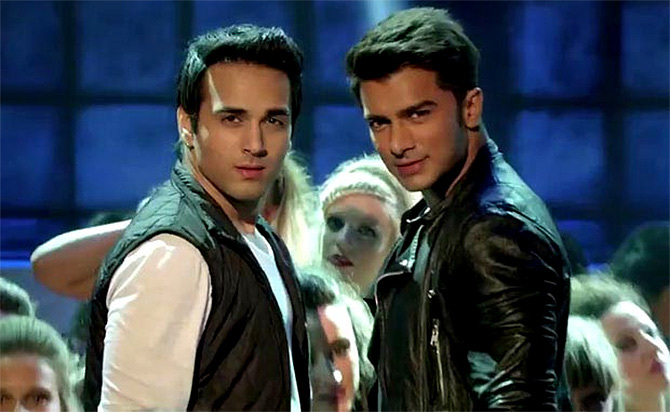 Photograph: Pulkit and Bilal Amrohi in O Teri. Salman launched Kamal Amrohi's grandson Bilal in O Teri. 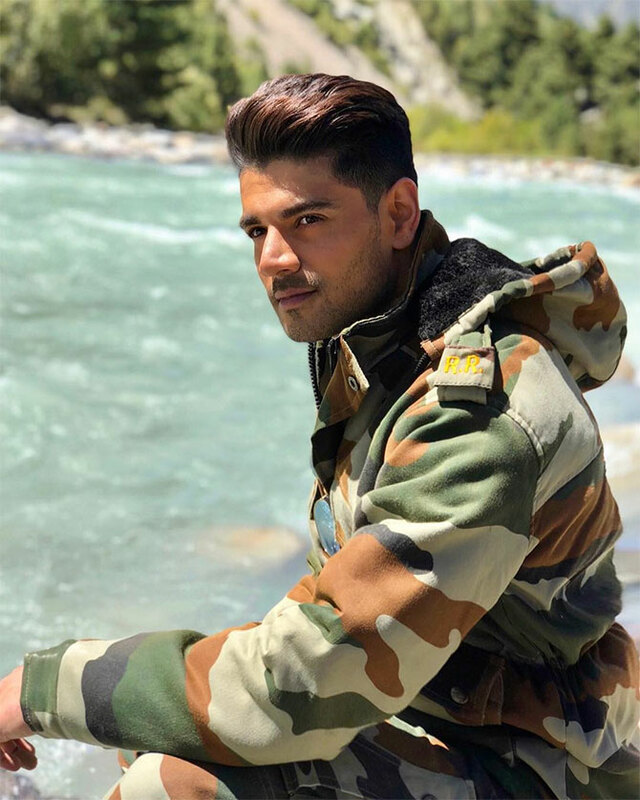 He went a step ahead and helped Bilal and Pulkit in the film's promotions by traveling with them on promotional tours.